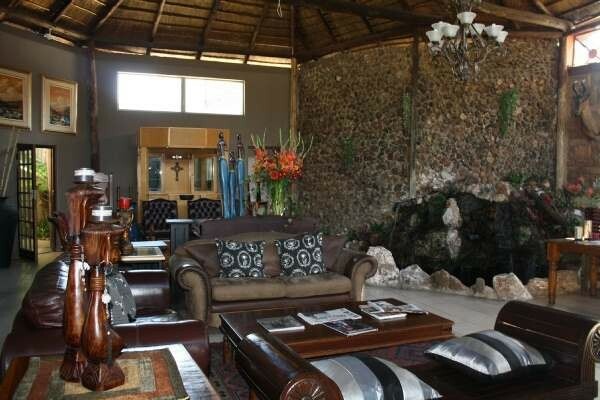 African Tribes Guest Lodge is an upmarket African Experience. Situated only 10 minutes from the airport but with no aeroplane noise! 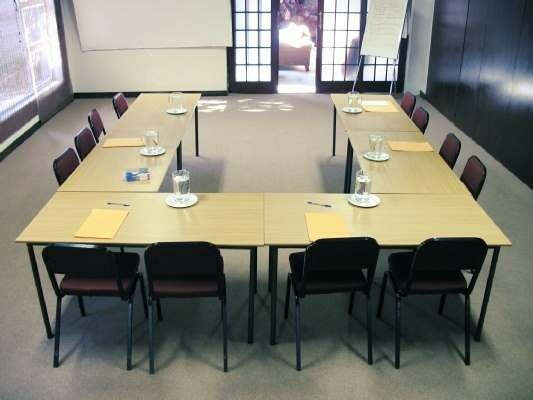 We are literally within walking distance from Kempton Park Golf course, otherwise our shuttles are available to collect or drop you for your convenience. 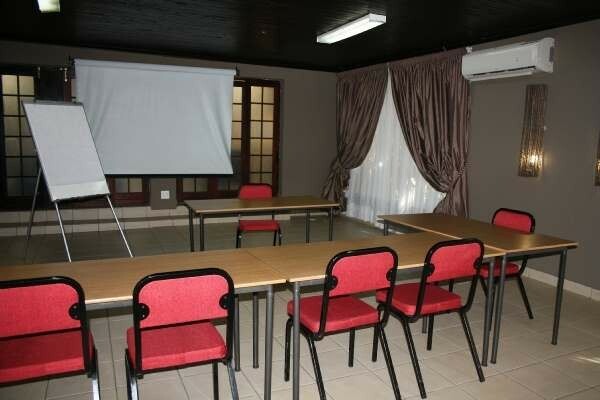 It is ideal for the business and leisure traveller in that it is centrally located for main tourist attractions, as well as the main business centres of the area. A large Shopping Mall, with cinemas, restaurants, ice-rink, and many more is within 5 minutes drive from the guest house. 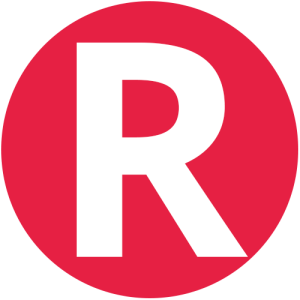 Other shopping malls like Eastgate, East Rand Mall, Bruma Market and the East Rand Traders Market are within 10minutes from African tribes. Our Shuttle Service will gladly drop or collect you at any of these malls. 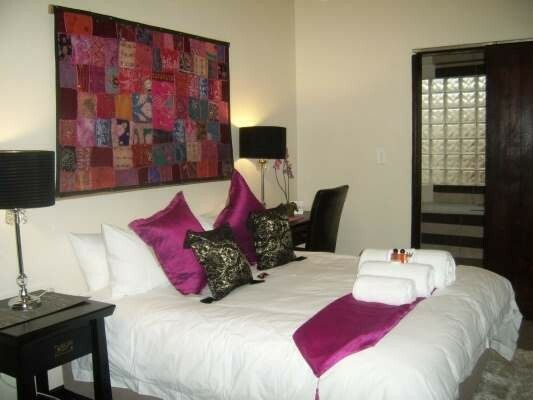 Description: Honeymoon suite with jacuzzi bath and shower. Description: Queen room with spa bath. 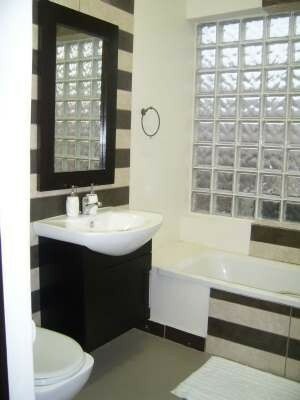 Description: Queen room with ensuite bathroom (shower only). Description: King/Twin room with spa bath. Description: Queen room with bath and shower. 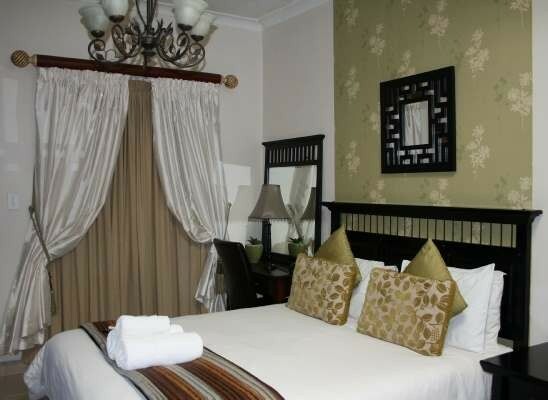 Description: King/Twin room - Wheelchair friendly. Description: Family room with Bath and shower. "It was a relaxing place. The staff were very understanding and catered for our needs except the TV coverage." "Wonderful friendly people. Room was clean and fresh towels and linen every day. Would recommend access to a hair drier as there was none. Food was great. Felt safe and secure. Coffee and tea making facilities a great plus." Contact African Tribes Guest Lodge & Conference directly. Send them an email.